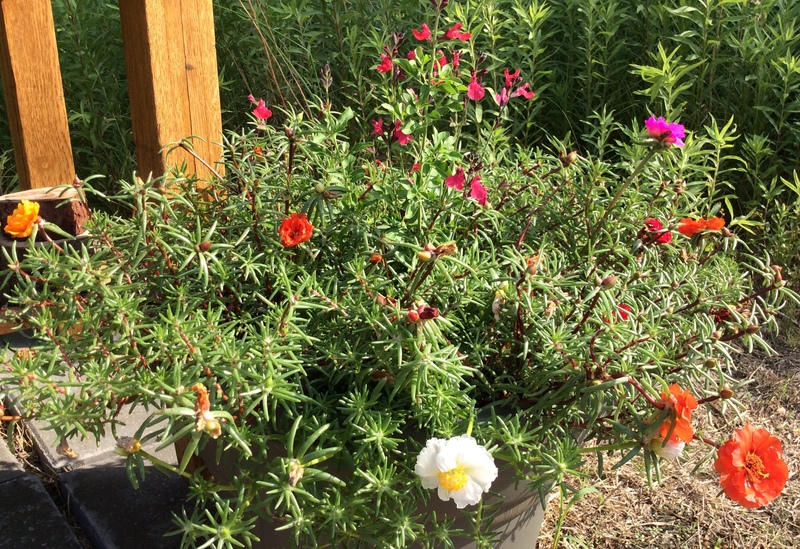 Three weeks ago we planted five containers with flowering annuals. Many of our native plants are small and have not bloomed in the habitat. We wanted to provide flowers for the solitary bees and butterflies already in the area. Near our habitat entrance we planted sweet alyssum, Mexican giant hyssop and lantana. In containers near the bee house, salvia and rose moss were planted. The flowers are in full bloom and attracting many native bees. 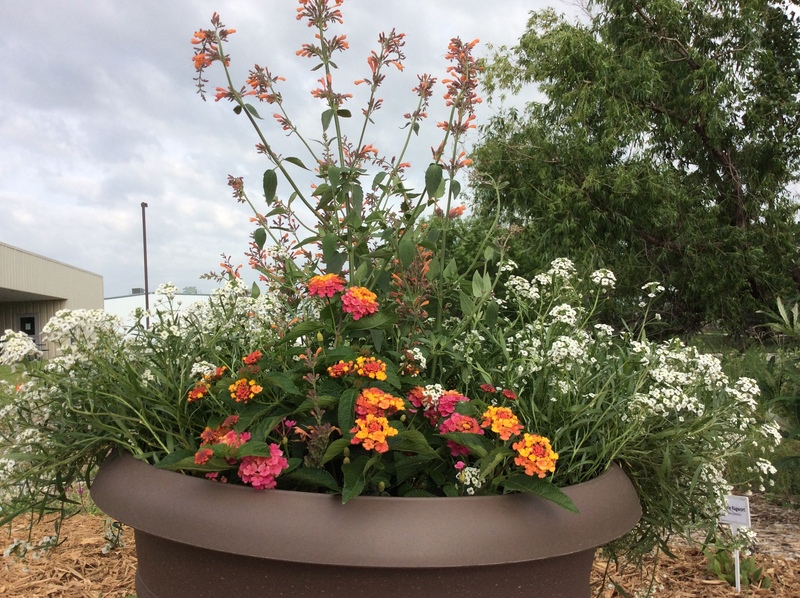 Sweet alyssum, Mexican giant hyssop & lantana in containers near habitat entrance. Salvia & rose moss in containers near bee house.